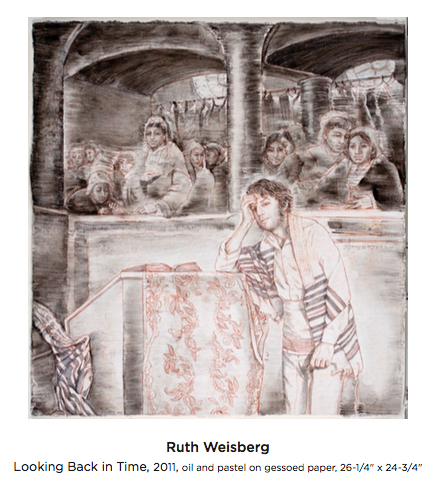 The juried exhibition “Dimensions of Spirituality – Rosh Hashanah, Yom Kippur and Sukkot” is drawn from the artists’ membership of the Jewish Artists Initiative (JAI) of Southern California, as part of an exchange with the Jewish Art Salon (JAS). UJA-NY Gallery, 130 E. 59th Street, New York, NY. 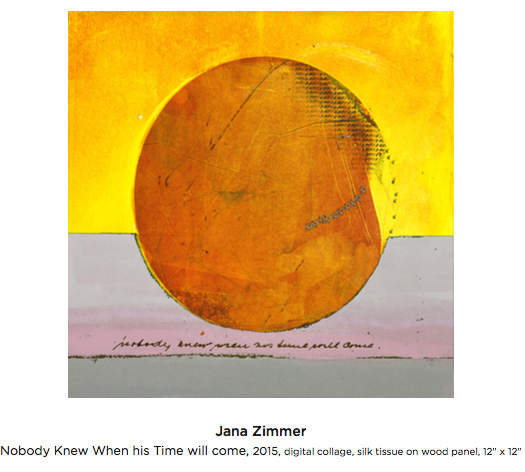 OPENING RECEPTION November 9, 6-8pm. Richard McBee, Artist / Art Writer in discussion with Ruth Weisberg, Artist / Founder of the JAI, Archie Rand, Artist / CUNY Presidential Professor of Art & Art History Brooklyn College, and Goldie Gross, Artist / Student Baruch College. Introductions by Yona Verwer, Artist/ Founder of the JAS. Exhibit on view Mon – Thurs 9-5, Fri 9-12, September 5th until November 30th, 2017. 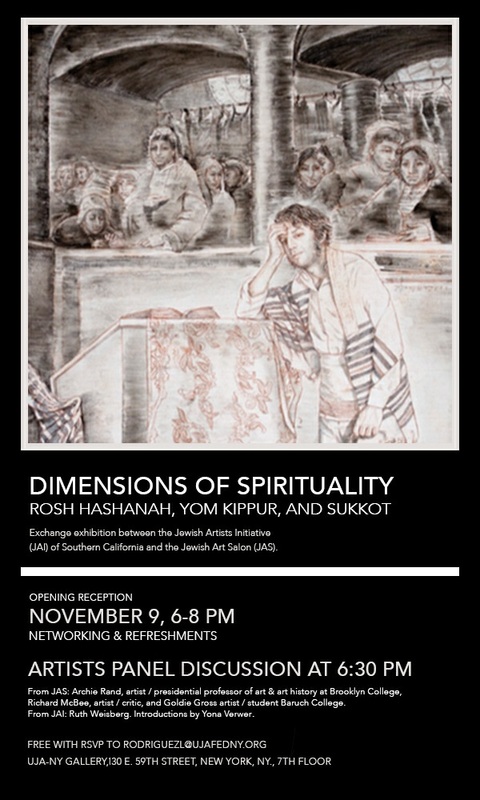 The theme was chosen by JAI and JAS because of the simultaneous timing of the High Holidays with the exchange exhibitions in the fall of 2016 and 2017 and, more importantly, because of the resonance with the artists’ focus on Jewish history, spirituality, and their interest in promoting dialogue about Jewish identity and related issues among members of the art community. Renée Amitai, Bill Aron, Pat Berger, Ellen Cantor, Rhea Carmi, Judy Dekel, Karen Frimkess Wolff, Shelley Gazin, Zhenya Gershman, Susan Gesundheit, Roger Gordon, Betty Green, Gilah Yelin Hirsch, Sarah Horwitz, Sandra Lauterbach, Marisa Mandler, Rachelle Mark, Avi Roth, Marleene Rubinstein, Lori Shocket, Ruth Weisberg, Cathy Weiss, Mara Zaslove, & Jana Zimmer. The High Holy Days are a communal celebration of events in the history of the Jewish people. Since at least the 3rd century BCE, during the first ten days of the Hebrew month of Tishrei, which occurs sometime in the month of September or early October, Rosh Hashanah begins the Jewish New Year and Yom Kippur, the Day of Atonement, concludes the ten Days of Awe. This is a time for introspection, repentance, prayer, and good deeds or charity. The custom is to seek reconciliation with people you may have wronged during the previous year. The solemn Days of Awe anticipate and pave the way for Sukkot, which commences on the 15th day of Tishrei. This weeklong Feast of the Tabernacles, one of the three pilgrimage festivals held since the existence of the Jerusalem Temple, marks the end of the harvest as well as commemorating the Exodus and the Jewish people’s dependence on the will of God. Back to back in the same month, the observances of Sukkot mirror the main themes of the Days of Awe and are the culmination of Rosh Hashanah and Yom Kippur. Each of the 24 selected artists reference the overarching theme of the exhibit, presenting their imagery in a style characteristic of their oeuvre that illustrates the variety and expressive potential of ideas from realism to abstraction. Working in painting (oil, acrylic, encaustic), drawing (graphite, pastel, collage, ink), the graphic arts (etching, monotype, co eegraph, stencil, chine collé), photography (color, archival pigment, digital), textile, and mixed media, the artists have probed the spiritual depths of these thought-provoking and joyous days to reveal the abundant connections between these holidays. 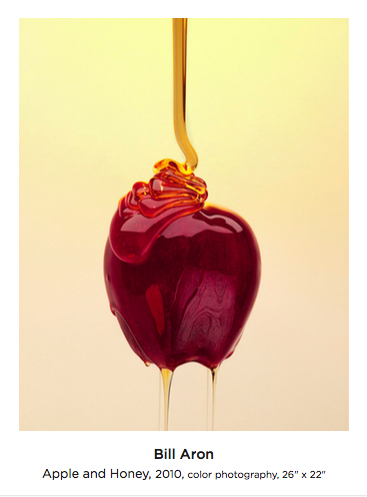 Really delighted that my image is featured on this page. Hope we draw a wonderful audience to see the terrific array of work that celebrates the High Holidays.